Beyond her multiple degrees, Leslie Hadaway is always involved in staying current in the classroom. She has been involved in multiple workshops, committees and is a professor, instructing future teachers. Her commitment to education drives students to achieve. She sets high expectations for all students and provides many opportunities for different learning styles. Her passion is contagious and many of her students dedicate themselves to future careers within the field of science. Mrs. Hadaway builds relationships with students that positively influence many of their decisions. She has served as advisor to various groups at Norwood High School to help continue students’ growth as citizens. Mrs. Hadaway is the best of the best. She has risen to mentor and lead teacher at Norwood High School. Both novice and veteran teachers look to Mrs. Hadaway for her vast depth of knowledge and experience. It is an honor to have Leslie Hadaway serve the students of Norwood City School District. 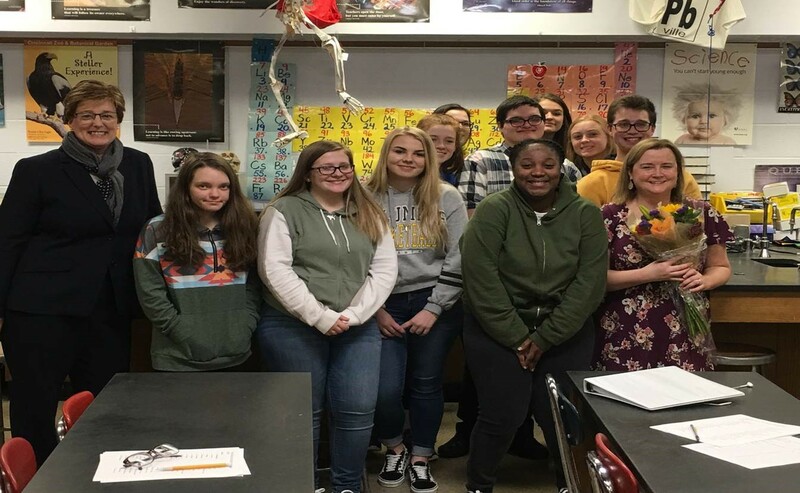 Mrs. Hadaway will be honored at the Hamilton county CELEBRATE EXCELLENCE educator recognition breakfast on May 3, 2019 at the Sharonville Convention Center.